I found Little Lemur Laughing in a local library - and I got very excited seeing as I have had the opportunity to meet and see Joshua perform in person. The poems within this collection, however, were much different to what I had seen Joshua perform previously. It's aim was definitely to children - which is evident in both style and composition of the book. Inside the poems are constructed in a very formulaic way, using a lot of technical devices, such as; alliteration, repetition, questions and similes. By utilising these tools the poems felt very aimed at a much younger audience. Even though, technically I'm not really the target audience for this publication I really enjoyed it. It flowed really well and I loved the topics covered within it's covers. Below is a poem written by Joshua in a similar style to the poems included within this collection. I'm sure you'll enjoy it. I gave this book four out of five stars because it does exactly what it sets out to do - entertain children and a young audience. 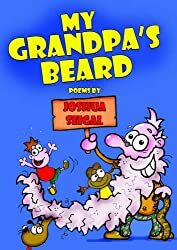 This is a great collection of poetry for children. If you have children - they'll love it. Genre: F/F, Romance, Female Fiction, LGBTQI, Erotica. No Other Love is the 6th book in the Pink Bean series by Harper Bliss - and it continued to add to the unique stories already told. Harper has been clever within this story, as she tackled the dynamics of an 'older' lesbian relationship, but she did this delicately and sensitively. I liked the way the story highlighted the struggles and pitfalls faced within a lesbian relationship that has lasted over two decades. Jane and Annie are lovely as a couple and I really felt that I got to know both of them really well when reading this book. However, I did feel more of a connection with Jane, due to being a writer myself - I could really relate to her. One occasion while reading this Jane was telling her story and I got so into it she even inspired me to sit down and write, which I duly did. I had not felt a buzz like that in quite a while. The reason why I only gave this book three out of five stars is due to the fact that I wanted more. I thought there was an opportunity (and still is) to know the story of the beginning of their relationship, like what Harper did with Sheryl and Kristin's story, there is space here to do this. I'm being greedy here, but as I was reading it I couldn't help but feel that if I knew more of their back story I would have more context to the issues they were facing together in the present. In this short publication Hannah O'Reilly cleverly expands on the First World War poetry with this very visual and poignant chapbook. Letter to an Unknown Soldier contains powerful imagery and very touching account of not only the life of a soldier during the First World War, but also of their friends and family and the emotional journey that they also went through. Hannah is clever with her use of technical devises such as metaphors, similes and repetition. However, I feel her strongest asset within this poem was the simple, but delicate use of rhetorical questions. This makes the reader think and imagine the answers to these questions, therefore they create their own ideas and images of the scene that Hannah sets. Prior to being introduced to this pamphlet styled book by a colleague before I had never come across the Chapbook styled publication before - and I must say I was not disappointed. Alban's illustrations compliments the poem extremely well in providing a direction to the answers to the rhetorical questions set-out within the text. The style, theme and artistic style of the drawing cannot be faulted within this little Chapbook. I gave this book four out of five stars for what this book was trying too and did achieve in its construction. It has uniquely added itself to the vast array of First World War poetry out there by giving it a more contemporary and inquisitive nature, which allowed us to question aspects of a soldiers life previously not considered. ​I should start by saying that Numbered Boxes by Pete 'the Temp' Bearder is so good that I read it in its entirety over the course of one evening. When initially reading this I was hit with a complete sense of nostalgia. The way Pete spoke and the topics he talked about ignited memories from my childhood and my school life. As I progressed through the collection I noticed that became gradually darker and darker, which was a clever move. It subtly shows the way that as we get older the world becomes a more complex place. Within the collection the poem "Der Tale O Bellingham Yael" is written in a 'Chaucer' esq. style. Initially I thought that reading this one was going to be a struggle, but I was pleasantly surprised. It flowed, and more than that, it made me concentrate harder and think more about what I was reading in front of me. I gave this book four out of five stars because it did not try to be more than what it set out to be. Numbered Boxes is a good read filled with lot's of imagery, and metaphors, and symbolism. It will make you think and reminisce. It's definitely a book you want to sit and devour with a good cuppa.